Strike fear in the hearts of rebel scum with these Star Wars Darth Vader Helmet Glow in the Dark Cufflinks. 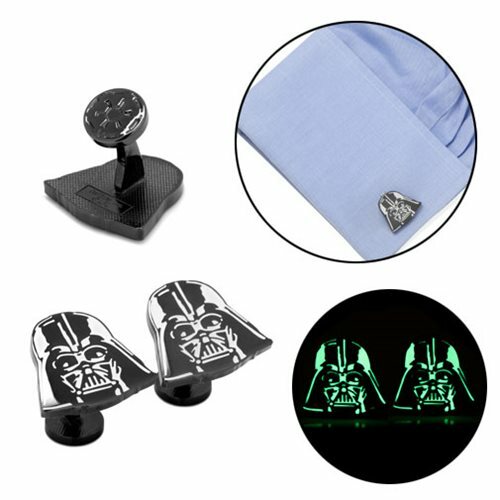 Featuring the menacing helmet of Darth Vader with glow in the dark details, these cufflinks will keep your shirts looking spiffy. It measures approximately 7/8-inches tall x 3/4-inches wide. It is made with plated base metal with glow-in-the-dark enamel and has a fixed Logo Backing.